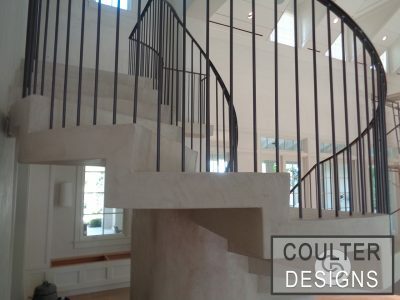 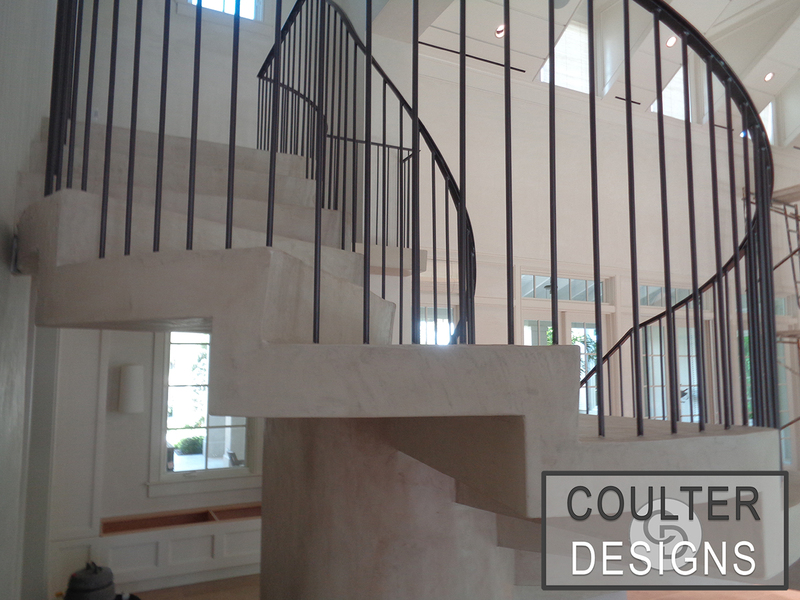 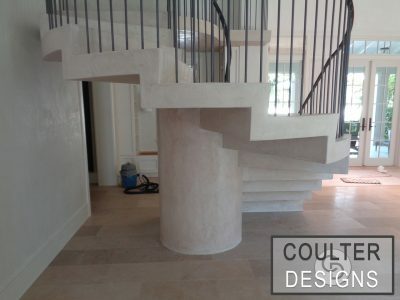 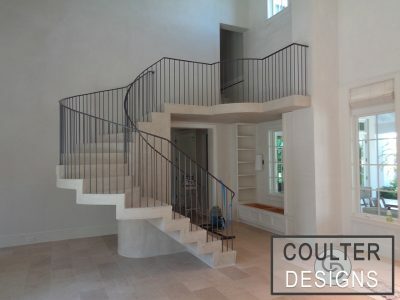 For Projects such as these, Coulter Designs utilizes a micro coating concrete similar in look and feel to the Travertino (matte) Italian Plaster used for wall applications. 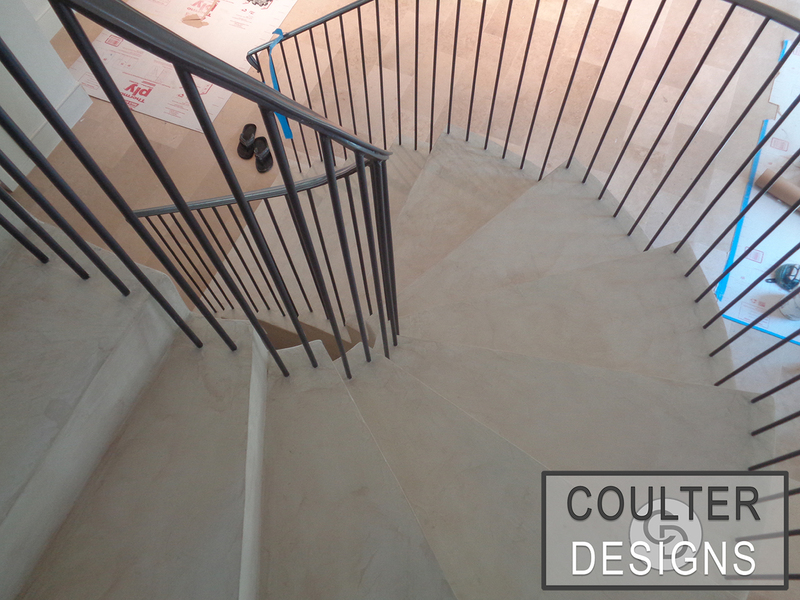 Micro coating concrete provides outstanding durability for floors and other high traffic surfaces, yet still has the luxurious look and feel of authentic Italian Plaster. 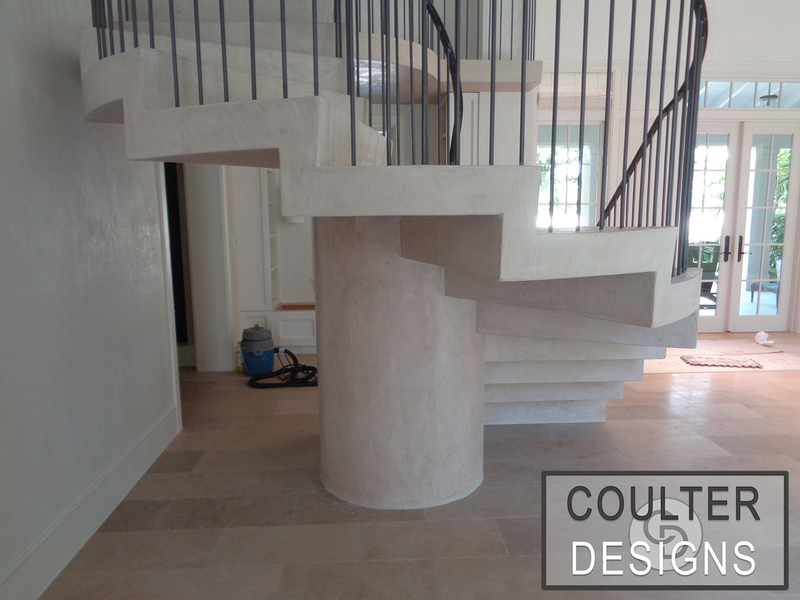 Read more about Italian Plaster here.